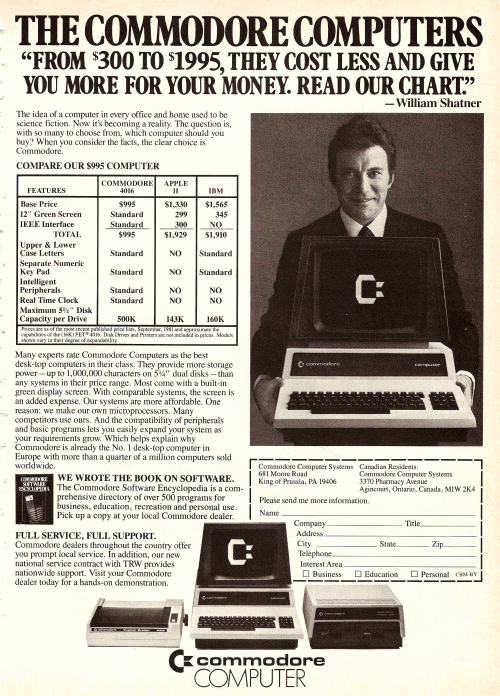 Here, Mr. Shatner says, in his smoothest voice, "Buy a Commodore, you know you want to. Look at the features - appreciate the value. I know technology. 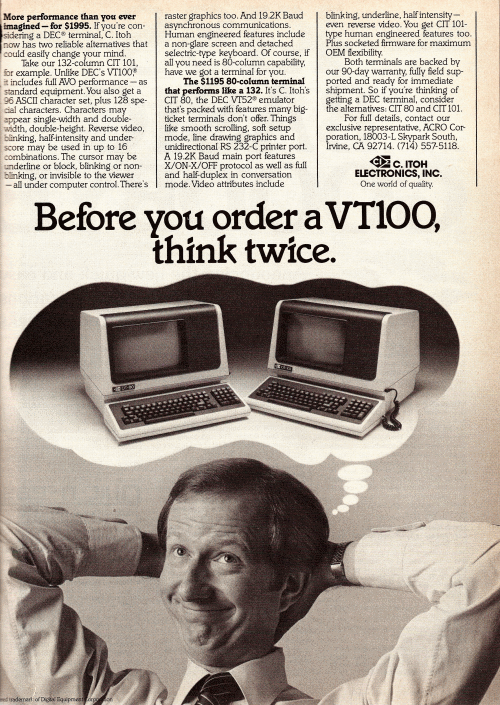 I know computers, I'm. the. Captain. Of. The. Enterprise!!" Meanwhile, Mr. Cosby is saying "Are you dense, son? 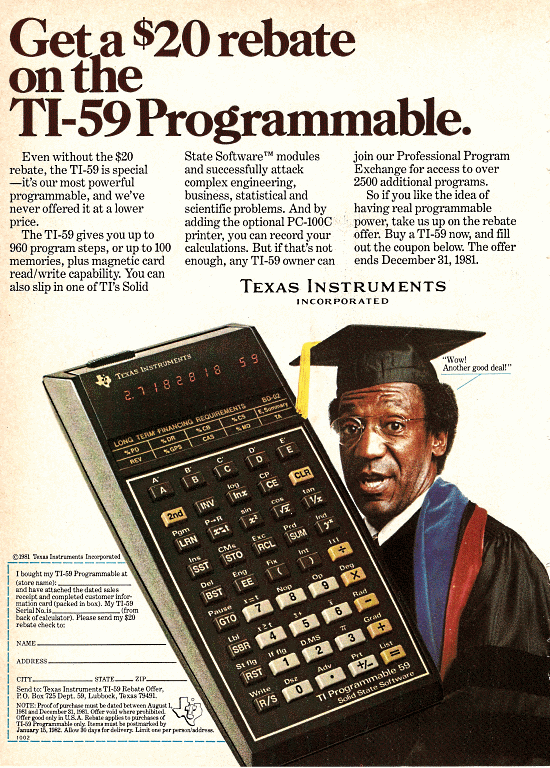 You need this calculator. It's a good deal! Do you see how I'm dressed? This is exactly how smart people dress! Be smart like me." I give up. I'll just take whatever the Joe Howard, the Mathnet guy, is selling. Upper AND lower case letters as standard? LUCKY BASTARDS - MY CHEAP BOSS WOULD ONLY OPT FOR THE UPPER CASE LETTERS. AND NO NUMBERS!